1. Proper Placement: Decide where to locate your container garden. 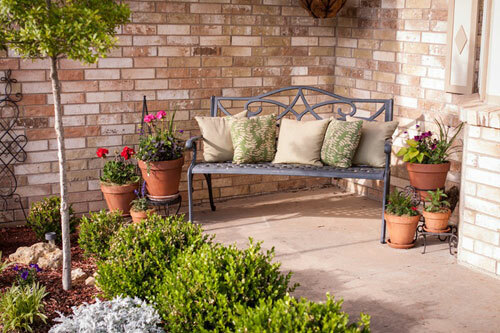 Full sun areas will require the hardiest plants, and containers placed near walls or on concrete or stone patios will heat up more due to light reflections and heat conditions. 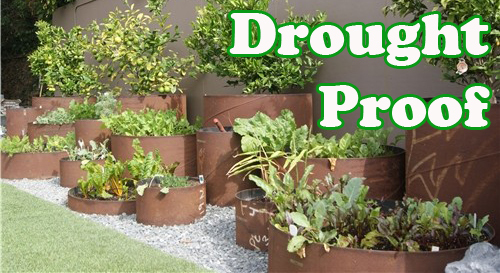 Not all plants will appreciate such harsh conditions, and all will need more frequent watering. 2. Choose the right plants: Look for those that are naturally drought tolerant. Plants suited to arid regions such as the Southwest and Mediterranean areas are perfect choices. In addition, ones that are native to your area are usually good choices, since they already are acclimated. 3. Bigger really is better: The larger the container, the more resources will be available to the plants. Most important among these is water. 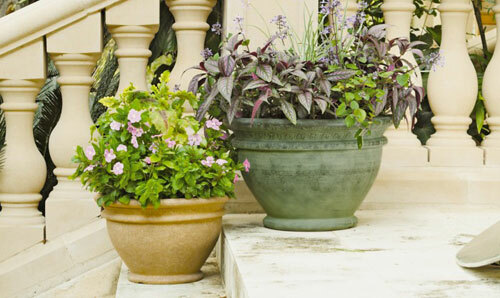 A larger pot holds a larger volume of soil, which in turn can store more moisture than a pot half the size. Obviously, the more water a container holds, the less frequently you will need to water it. 4. 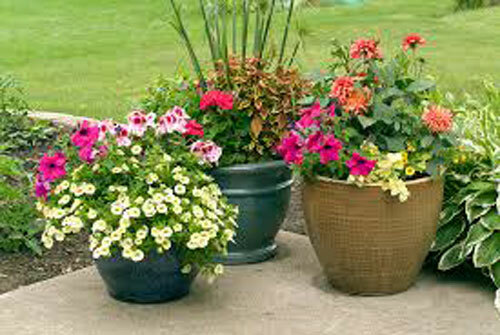 Use proper soil and irrigation: Using the proper soil mix in your pots is very important. Avoid using real soil from your garden beds. It compacts in garden pots. 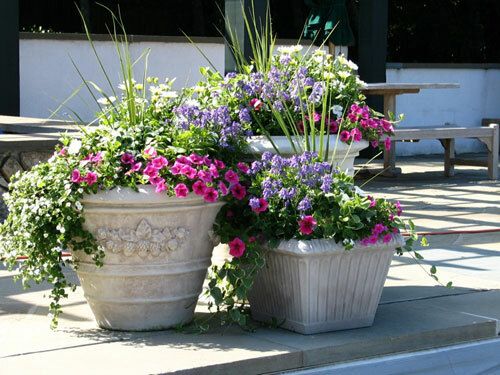 A container garden will use less water than similar plantings in the ground but you will need to water them more frequently. Depending on the size of the pot, it's placement and the plants you use may need to water as often as once a day. Low water use plants in large containers getting afternoon shade may need water only every other day. 5. Mulch & Maintenance: Like plants in a flower bed, container plants benefit from a layer of mulch. It slows evaporation of the water on the surface and insulates the soil. Even though you have fertilized with potting soil, many container gardens can use additional feeding throughout their growing season. 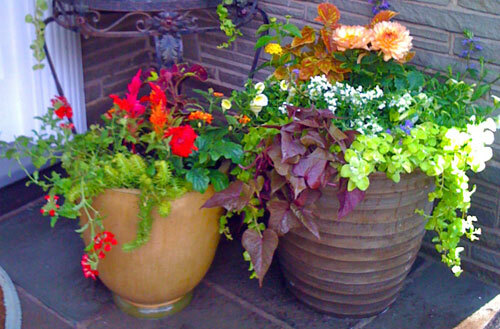 Read more.....Simple container gardening tips.